Laser Plumbing Newcastle Central provides gas fitting for residential and commercial markets, serving clients across Newcastle, the Hunter Region, Central Coast and Port Stephens. We can assist with new installations and maintenance on existing systems. Laser Plumbing Newcastle Central has dedicated registered gas fitters who make sure all gas work is certified and tested for your safety and compliance. 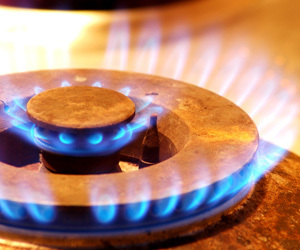 Our gas fitters are qualified for installation of all gas appliances including heaters, fireplaces and flues, gas hobs, hot water cylinders, gas barbeques and continuous hot water heaters. If you wish to enjoy the benefits of gas and want a quality installation that is 'Totally Dependable', you can rely on Laser Plumbing Newcastle Central for all your gas requirements. Laser Plumbing Newcastle Central can take care of all your residential plumbing needs! Please contact us to discuss your requirements.